Step 1 Beat the sugar with the almond paste until the almond paste is in fine pieces. Or, better, pulverize it in a food processor. Beat in the butter and the vanilla, then cream the mixture until it is light and fluffy. Beat in the whole eggs, one at a time -- the eggs should be at room temperature -- beating well after each addition so the eggs are thoroughly mixed in. Mix the flour, baking powder, and salt, and beat in just until thoroughly blended. Step 2 Butter and flour a 9-inch springform pan and turn the batter into it, smoothing the top evenly. Bake in a preheated 325-degree oven for 1 to 1 1/4 hours, or until a toothpick inserted in the center comes out clean and the center feels springy when you push it gently. Step 3This cake is for marzipan lovers and is nice just powdered lightly with vanilla powdered sugar and served with a cup of coffee or tea or a glass of sherry, or better, an Italian Aleatico or Passito. It is also good with sliced peaches or nectarines and creme anglaise. In Recipes-list.com we have selected the most viewed recipes from category - Desserts . Enjoy the best recipes specially selected for you! 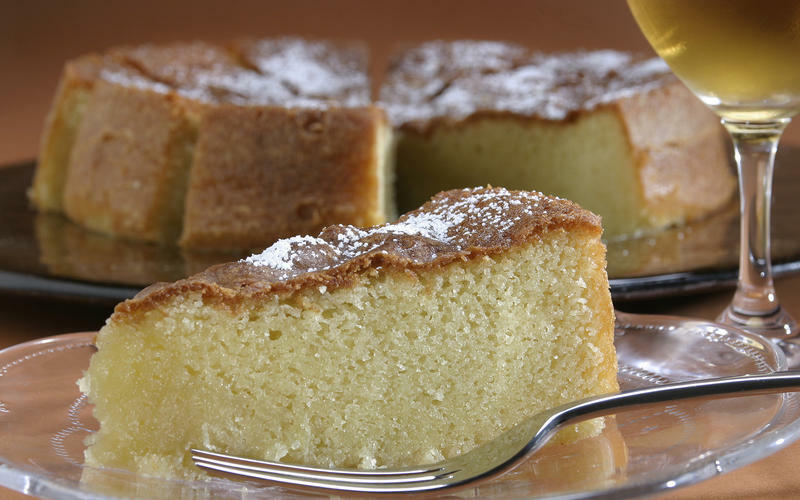 Almond torte is the right choice that will satisfy all your claims.